The retail industry is facing challenging times. Business Insider reported that electronics, grocery stores, department stores and drug stores are among the sectors threatened by online retailers, such as Amazon. Businesses that were considered “too big to fail” such as Toys “R” Us, Payless and Radio Shack are among the 300-plus companies that filed for bankruptcy within the last year. This makes it more important than ever to control operating expenses, find ways to drive additional revenue and create a competitive difference. 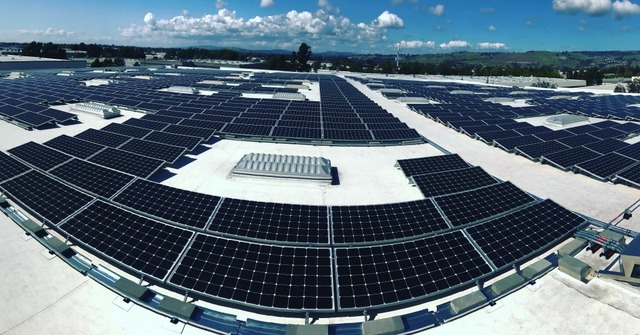 One of the ways that many businesses are achieving these goals is with renewable energy initiatives, and even more specifically, solar. The US has added more solar power than any other type of electricity in 2018. A recent SEIA report noted that non-residential solar, a category used when companies like AT&T and Nestle switch their electricity source to commercial solar power, was the second largest area of growth. Continue reading here. This entry was posted in NewsBlog and tagged corporate renewable energy procurement, low cost of utility scale solar, off-grid solar projects, pollinator-friendly solar sites, Puerto Rico, renewable energy news on August 10, 2018 by Helen Deffenbacher.